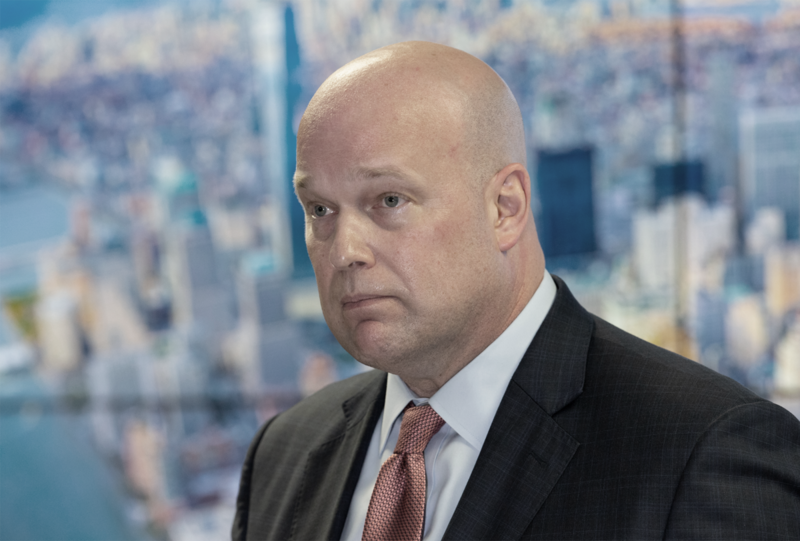 When Acting Attorney General Matthew Whitaker testifies before the House Judiciary Committee on Friday, the hearing likely will include the first of many battles in 2019 over the scope of executive privilege. The power struggle will provide the public with one of its first windows into the White House’s view of the executive branch’s obligation to answer Congress’s questions. Congress’s oversight powers are firmly established — derived from the Constitution and the powers vested to Congress as a co-equal branch of government. Courts have recognized that Congress has strong authority to conduct oversight, particularly oversight of the executive branch. At the same time, the courts have recognized that the executive may properly resist requests in certain circumstances — most relevant here, those requests that may hinder the president’s ability to discuss important policy considerations openly and candidly with his senior advisers. But as the Supreme Court made clear in 1974, when Richard Nixon cited executive privilege in declining to respond to congressional oversight requests, that privilege is qualified, not absolute, and must give way if the need for, or if the public interest in, the information outweighs the president’s confidentiality. The gulf between Congress’s investigative authority and the executive branch’s confidentiality prerogative is typically contested without a neutral arbiter like a federal judge. It is, in other words, frequently a political power struggle. Whitaker’s testimony is likely to spotlight that struggle. When Whitaker comes before Congress to testify on the management of the Department of Justice (including management of Special Counsel Robert Mueller’s investigation), it is likely he will make arguments grounded in executive privilege to avoid responding to questions. Whether and how he does so will help shape the next two years of congressional oversight, and there are three things to keep in mind with respect to whether that privilege is properly asserted. Whitaker cannot simply assert privilege on behalf of President Trump on something he believes Trump may want him to refuse to answer. As the saying goes, the privilege belongs to the president, and the president himself must invoke executive privilege over specific answers. One strategy witnesses have employed in the past is to invoke confidentiality interests and allude to the need to give the president time to decide whether to invoke executive privilege. For example, during a June 2017 Senate Intelligence Committee hearing, then–Attorney General Jeff Sessions refused to answer certain questions based on executive branch confidentiality concerns, but (correctly) clarified that “I’m not able to invoke executive privilege. That’s the president’s prerogative.” Sessions carried this strategy to the extreme when he testified before the Senate Judiciary Committee. After flagging questions during his first hearing that might implicate executive privilege, Sessions testified that he would need to confer with the president over whether Trump wanted to invoke it. But when he returned to testify four months later, he still refused to answer the same questions on the same basis: He needed to talk to the president first. Friday’s hearing will be Whitaker’s first time before Congress, but House Judiciary Chair Jerry Nadler has taken steps to try to prevent Whitaker from employing the same dubious strategy. On January 22, Nadler sent Whitaker a letter listing several questions that might implicate privilege issues and asked Whitaker to confer with the president in advance of the hearing. Nadler reiterated this point on February 6, writing that given Whitaker’s failure to respond to the January 22 letter, he assumed that executive privilege would not be invoked at the hearing. Nadler’s goal is clear: If the president wants to invoke privilege and tee up a potential court fight, so be it, but he should go ahead and do it rather than have his appointees dance around the issue. It’s not clear how Whitaker will respond to this. But Nadler’s approach forces Whitaker and the Department of Justice to more directly address their basis for not answering legitimate questions. The ability of prior administration witnesses to decline to answer by claiming the need for presidential consultation turned on the fact that they didn’t know the questions in advance, and the assumption that it is reasonable for the president to be afforded some time to evaluate whether to invoke privilege. Given more than two weeks’ advanced notice, little basis remains for Whitaker to decline to answer, absent a presidential invocation of the privilege, without appearing evasive. At minimum, Nadler’s approach will make Whitaker’s hearing more challenging. Whitaker faces rhetorical difficulties in justifying a refusal to answer questions he has already been given, but he does not yet risk a finding of contempt if he does refuse because he is (at the time of this writing) testifying voluntarily. Typically, a witness before Congress faces a risk such a finding if they persist in not answering throughout a careful process. Under the usual committee rules, that means that the witness is first subpoenaed and legally compelled to respond. The witness’s basis for refusing to answer a given question is taken up by the committee, which votes on whether to bring the witness back under legal compulsion and to direct them to answer. Refusal at this point can trigger a contempt finding. There are at least three grounds on which the information sought by Nadler arguably cannot be protected by executive privilege. First, the Department of Justice has long been clear that executive privilege cannot be invoked to protect information that evinces criminal or unethical conduct by government officials. The questions Nadler provided primarily relate to whether the president spoke to Whitaker about the special counsel investigation or the U.S. Attorney’s Office for the Southern District of New York’s investigation into campaign-finance crimes, and Whitaker’s decision not to recuse from those investigations. Based on news reports, it is likely that the president himself is at least a subject in these investigations, and that his campaign, the Trump Organization, and close associates are at least subjects as well. The president’s potential interference in the conduct of these two criminal investigations is itself almost certainly unethical, if not criminal, and therefore not properly protected by executive privilege. Second, executive privilege arises from the constitutional need to protect the president’s ability to perform his or her constitutional role. If the president’s communications with Whitaker arose from concern for his personal liability or the liability of his associates in these investigations, rather than his conduct of his official duties, information about those communications would not properly qualify as privileged. Finally, as the Supreme Court has made clear, executive privilege is a qualified privilege, and can be overcome if Congress demonstrates a sufficient need for information. The committee has a strong and particularized need to understand the nature of the communications, if any, addressed in Nadler’s questions. The information sought concerns the special counsel investigation, serious and criminal violations of federal campaign law, and potential involvement of the president, his close associates, and his campaign in those matters. It is highly likely that the public interest in obtaining — and, more importantly, the committee’s particularized need to obtain — that information likely outweighs any legitimate claims the president could have for keeping that information from the public. Given these circumstances, Whitaker should not technically be able to assert executive privilege over questions related to the president’s involvement in the special counsel or the campaign-finance investigations without first negotiating with Congress to ensure that it is properly invoked. But that doesn’t mean he won’t try.